The 5 Star Collection is designed to provide enhanced comfort with proper support. A continuous coil design, and head-to-toe construction helps promote proper back support and reduced motion transfer. Rolls of continuous coil run head-to-toe, with each coil attaching to its neighbor, for the durability and stability needed to provide support. 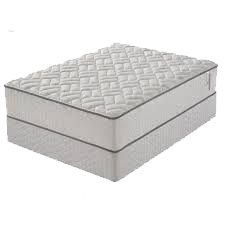 Plus, Foam Encasement helps strengthen the mattress edges while extending the sleep surface. The True Luxury Collection features an individually wrapped coil support system, for support that conforms to each sleeper's unique needs while providing enhanced comfort. This advanced support system also works to reduce motion transfer from one sleep partner to another. 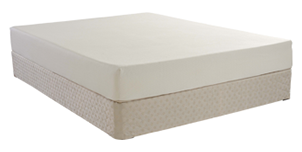 Select models feature advanced comfort layers, including extremely responsive Talalay Latex and pressure-relieving Memory Foam. 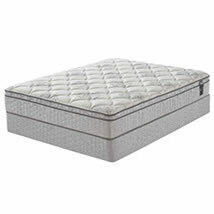 Every True Luxury Collection Mattress is beautifully finished with a premium cover. Whether you prefer a traditionally firm or luxuriously plush mattress, the True Luxury Collection has the right choice for you at an affordable price. The Arrow Creek model features an 8" high memory foam, 6" high density foam core, designer fabric and memory foam. The Kindhearted model features a 10" high memory foam, the highest offered in the collection. 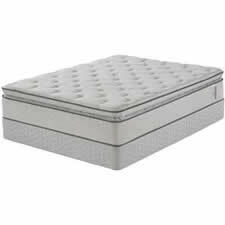 Couple that with a 7" high density foam core, designer fabric and memory foam for the top of the line specialty mattress in the collection. The Bartram is a great value in Gel technology. 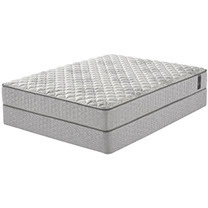 1" of Gel Active™ Memory Foam over a 6" foam core provides cool comfort economically.. The Archibald is a great value in Gel technology. 2" of Gel Active™ Memory Foam over a 6" foam core provides cool comfort economically. The Corolla is our plushest mattress in the Gel Active Series. The Corolla Foam Encased foam core is designed to work in support of the comfort layers to provide maximum pressure relieving comfort while reducing motion transfer. The edge support system provides a strong and durable sitting edge and eliminates roll off and delivers true edge to edge sleeping surface.